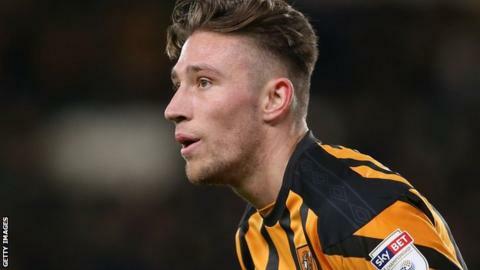 Hull City defender Angus MacDonald will not play again this season after suffering a setback in his recovery from deep vein thrombosis. The 26-year-old was sidelined with a calf problem in August, but more tests in November revealed a blood clot. "Hopefully we'll get him back for pre-season," Hull manager Nigel Adkins told the club website. "He's stayed with the medical team. We were hoping for him to be back by March but that's not going to happen now." Former Barnsley and Torquay central defender MacDonald previously suffered from a blood clot on the lung at the age of 15, but made a full recovery.